For some time, we’ve heard something is brewing at camp Nvidia; specifically that the company was gearing up for Computex in a big way. New reports suggest that Nvidia are indeed planning on launching their Pascal range of GPU’s, and replacing both the GTX 970 and GTX 980 cards. It’s been fairly well established Nvidia’s next entry into the GeForce lineup will be manufactured on a 16nm FinFet process, which should provide a substantial boost in performance per watt over the current Maxwell architecture. This rumor says that Nvidia and their AIB partners will have Pascal GPUs on display for Computex – so in theory, we shouldn’t have to wait much longer before we get a taste of exactly what Nvidia have been planning. The GTX 980 and GTX 970 first hit the market back in September, 2014 and were incredibly well received by gamer’s. But in GPU terms both cards are now pretty old, and Nvidia are obviously eager to release Pascal; especially with AMD putting the finishing touches to their own next-gen GPU architecture, Polaris. Nvidia are yet to officially unveil the naming conventions for the next generation cards, but tentative talk has suggested that Nvidia will either go the logical step of dubbing the cards the GeForce GTX 1080 or GTX 1070 respectively, or simply embracing a slightly altered naming convention of GeForce GTX X80 or X70. As we’ve previously discussed, it’s highly unlikely we’ll see of the aforementioned GPUs using HBM2 because high capacity DRAM’s availability won’t be until third or forth quarter of this year. Therefore we’ll probably see Nvidia see stick with the GDDR5(X) variant of memory. Both the GTX 1080 and GTX 1070 use the GP104 graphics core. HBM2 is rumored to be ushered in with the Pascal GP100 range of cards, which would be the equivalents of the GM200 – AKA, the GeForce Titan X in the current lineup. The rumor mill (and some logical) suggests that the GTX 1080 will probably offer comparable performance to the Maxwell GeForce Titan cores, which is great news for gamer’s. 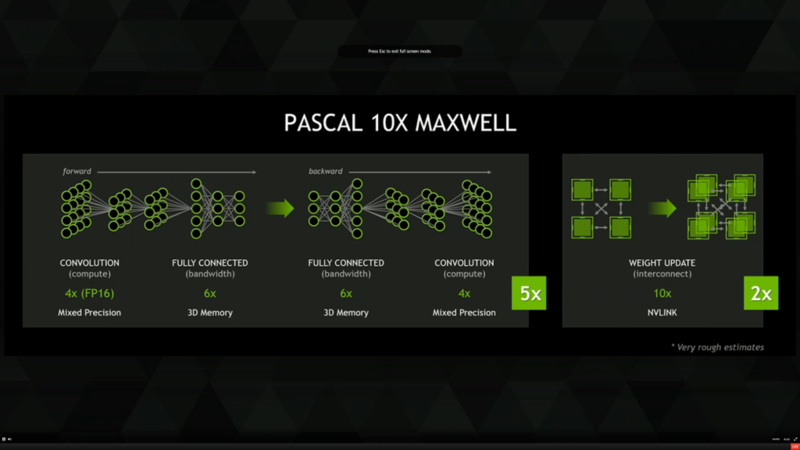 One weakness of Nvidia’s Pascal architecture is said to be Asynchronous Compute, which was a similar concern with the Maxwell lineup of cards. Stick with us here at RedGamingTech and we’ll keep you updated with any info! Tagged with gp100, graphics card, hardware, nvidia, Nvidia Geforce, pascal, polaris, Titan, x70, x80.